There’s no denying the cannabis industry any longer. On November 8, 2016 20% of US citizens woke up in a state where using marijuana is no longer illegal. By 2019 at least eight states across the country will have legal recreational markets, while 23 will have legal medical marijuana programs. Ancillary industry services are growing around the core delivery system, such as cannabis focused agricultural equipment, real estate companies, investment firms, law firms, testing labs and, of course, software startups. 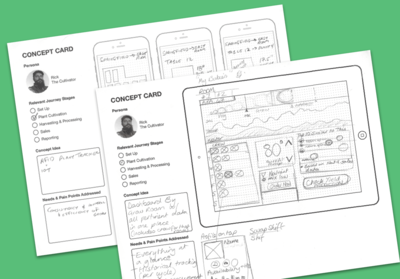 We recently had the opportunity to work with one of these startups, who was looking to develop a seed-to-sale software platform, differentiated by design. As all aspects of this industry grow, so do the needs of the businesses within it. In order to operate in any plant-touching sector of the industry, compliance reporting is mandatory and time consuming. There are approximately 159,000 businesses operating in legal recreational and medical marijuana programs in the US today, including caregivers, cultivators and dispensaries. Every bud, tincture and edible will need to be tracked, traced and reported through software platforms for the business to remain compliant. 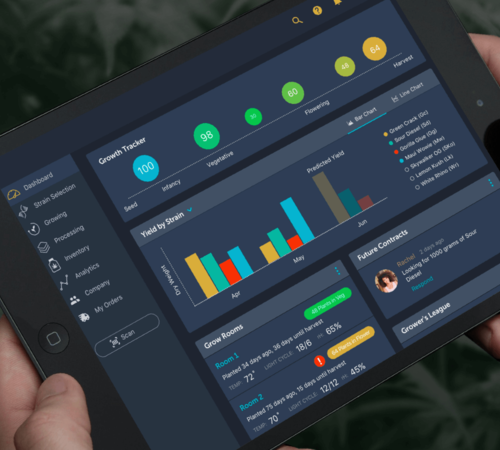 The right software tool could have a large impact on the way the cannabis professional of the future runs an efficient and cutting edge business. Our solution, designed to work with manual, barcode or RFID technologies, takes the compliance burden away from the cultivator. Instead it provides a fully integrated system that begins with facility set up and extends through plant management, processing, inventory tracking and reporting. 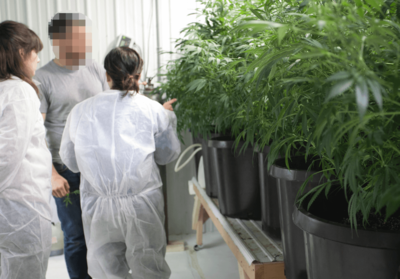 There are many platforms that are designed to support retail sales and regulatory compliance, but only a few that tackle the unique challenges of the cultivator, and even fewer that do it well. Interviews and industry analysis uncovered an important insight that as cannabis becomes more ubiquitous, the price will likely continue to fall - in Maine we’ve seen a 50% decline in prices in the last 2 years alone. So how does a cultivator remain profitable? By tracking key metrics in their grow, they can access and analyze their business data allowing them to gain insight, maximize efficiency and make well-informed decisions. 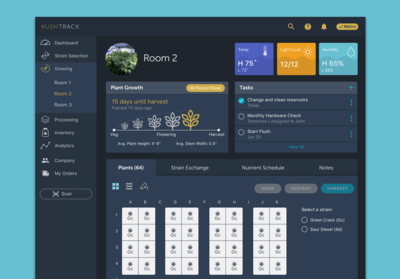 The platform supports this, ensuring that cultivators can repeat their successes, maximize their margins and mitigate mistakes or costly failures. The last piece of the puzzle for this innovative startup is investor funding. Using our experience with over 70 startups, we spent time consulting with them on their business planning, financial projections, investor relations and pitch materials. Armed with these and some tough-love pitch coaching this team of cannabis crusaders is out on the road looking for funding as we speak.